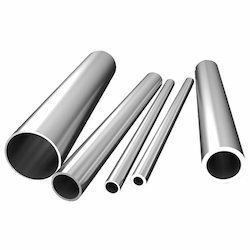 Providing you the best range of jindal stainless steel pipes, erw pipe, inconel pipes, 254 smo pipe, 254 smo round pipe and stainless steel pipe with effective & timely delivery. We are a popular organization engaged in offering ERW Pipe. We have designed and developed this product using utmost quality materials. Moreover, this entire range is available with us in various standardized dimensions in order to fulfill clients’ different demands. Moreover, it is highly demanded across various engineering industries. Inconel pipes feature seamless fabrication for better flow characteristic. These pipes can be readily welded for a leak proof connection. 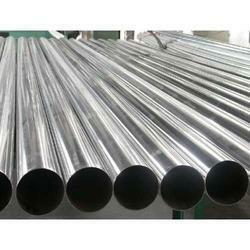 The highly durable inconel pipes can be used for variety of corrosive media across industries. 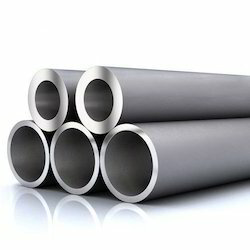 254 SMO Pipe offered are developed using high-alloy austenitic stainless steel which makes these pipes find suitability in seawater & other aggressive chloride-bearing media. Coming with superior resistance to pitting, general corrosion, stress corrosion cracking, crevice corrosion, these also delivers superior finish strength in comparison to conventional austenitic stainless steel as well as come with superior weld-ability properties. 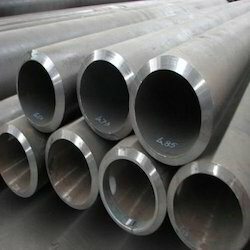 Outer Diameter 1/2" TO 24"
We are the leading trader and wholesaler of Stainless Steel Pipe. We have verily won the trust of our esteemed clients owing to several noted attributes of our product array characterizing optimal in overall qualities, strength, light weight, efficiency, and performance. We purvey full panoply of steel products to our clients in various countries across the globe. Being a customer focused organization, we are engaged in offering a wide assortment of Seamless Pipes. We source these pipes from authentic vendors, who make the offered products variegated grades, lengths and thicknesses. 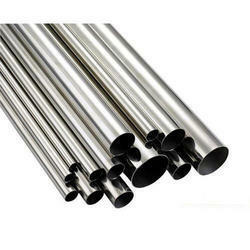 The offered pipes are widely used in industries such as oil & gas, aerospace, heat exchanges, pharmaceutical and defense. Moreover, our esteemed customers can avail these seamless pipes from us at market-leading prices within the committed time. We offer a huge array of steel pipes that are fabricated by using various grades of material steel and metal alloys. These are available in single welded or double welded form. Our clients have the option to choose pipes with radiography or without radiography. We are exporting in Bahrain, Brazil, Canada, Chile, Czech Republic, Egypt, Indonesia, Italy,Oman, Paland, Qatar, Saudi Arabia, Singapore, Uae, Uk, Usa, Germany. We hold expertise in offering Welded Pipe to our clients. Our offered product is manufactured from supreme quality materials and sophisticated techniques to ensure its durability. Owing to its reliable performance, it is widely used in various engineering industries. Moreover it is available with us in various sizes and forms. Our firm is counted among the eminent organizations, offering Fabrication Pipes. Patrons can avail these pipes from us in variegated sizes and grades as per their needs. Moreover, our offered pipes are acknowledged in the market for features like resistance against corrosion & abrasion, dimensional stability, high tensile-strength and low maintenance. The offered fabrication pipes are widely utilized for various domestic and industrial applications. 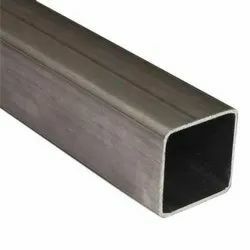 Size/Diameter 1/2 inch,1 inch,2 inch,3 inch,4 inch,30"
We offer a huge array of Mild Steel Round Pipe that are fabricated by using various grades of material steel and metal alloys. These are available in single welded or double welded form. Our clients have the option to choose pipes with radiography or without radiography. 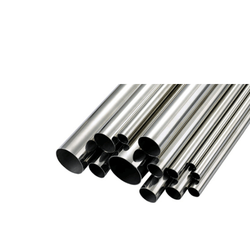 Stainless steel seamless pipes and ERW pipes are fabricated in different alloys of ASTM / ASME SA 312 GR. TP 304 , 304L , 304H, 309S ,309H , 310S, 310H , 316 , 316L, 316H , 316Ti , 317 , 317L , 321 , 321H , 347 , 347 H , 904L ASTM / ASME SA 358 CL 1 & CL 3 GR . 304 , 304L , 304H, 309S ,309H , 310S, 316 , 316H , 321 , 321H , 347 and others. Our comprehensive range includes welded stainless steel pipes, seamless alloy steel pipes, welded steel pipes and many more. We produce using ace quality of steel and alloy to retain their durability for longer period. We are offering MS Square Tubes to our clients.